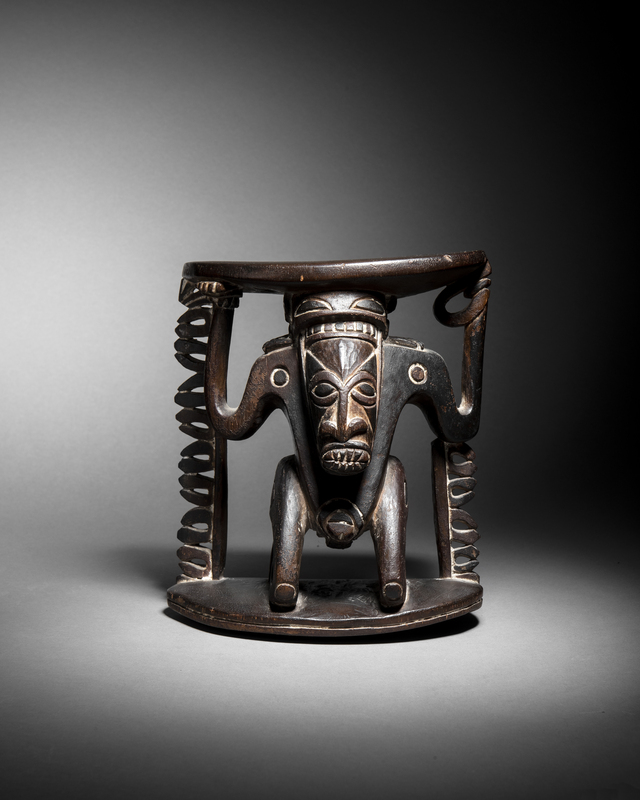 On the upcoming 14 December, auction house Binoche et Giquello will offer a rare Fang byeri among an African and Oceanic sale. 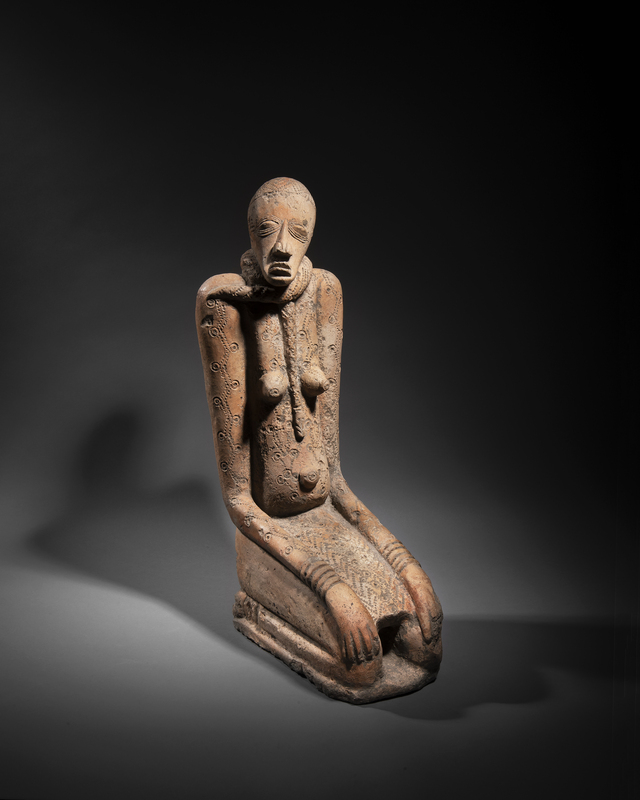 The exceptional nature of this reliquary statue lies in the choice of a female bust. Its thick patina illustrates its age and its rare quality overall. The figure is one of the 20 remaining Fang busts, of which only a handful of models are female. 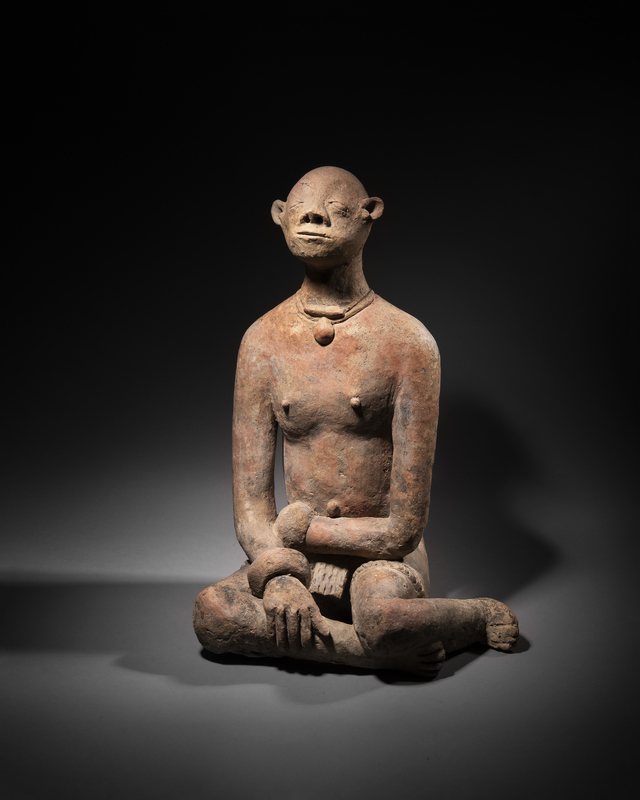 This votive statue was used at the beginning of the 19th century for ancestral cult. It was then brought to France during the 20th century by a colonial administrator. 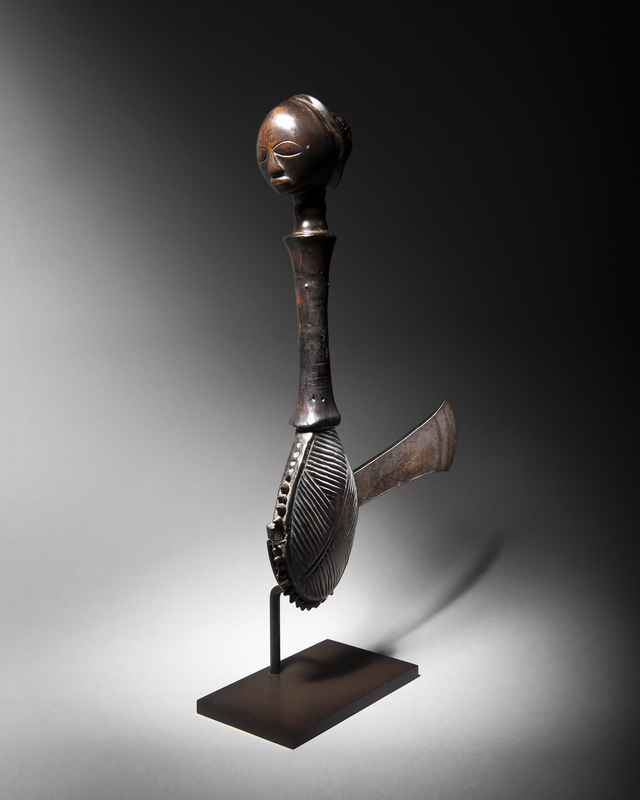 It is estimated between €1 and €1,5 among the sale which includes 60 lots for a global estimate of 3 to 3,5M€. The Fangs of Equatorial Africa are considered as a conquering nation who arrived in Gabon at the end of the 18th century. They are divided in different groups. 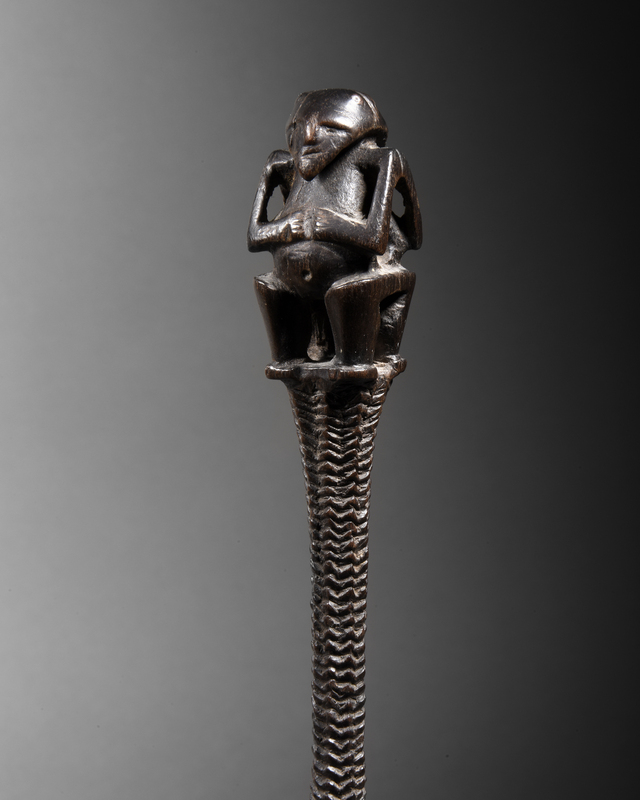 One of them, the Ntumu group – who’s name comes from Ntum, the cane the leader carries during important debates – occupy the Wolev-Ntem plateau, in the North of Gabon. The social hierarchy of the Fangs is based on lineage. The father, named Esa, holdss a mighty power on his descendents, and is the only one who can lead the ancestral cult. 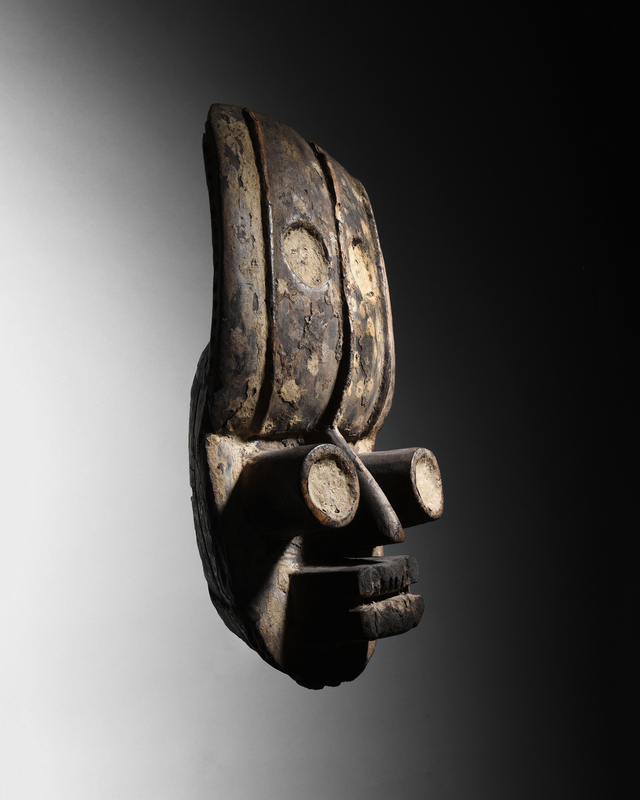 The byeri figure is made to keep the bones – skull or jaw – of the most illustrious ancestors of a family. The bones are contained in a bark box, on which an anthropomorphic wood effigy is fixed. Each sculpture had a decor which refers to a deceased person of the lineage. The Esa honors the byeri by offering food in exchange for ensuring women’s fertility among the descendants, successful hunting, victorious battles, healing powers and protection against evil wizards. The votive statue has a crucial role during young men initiations. After they drink a hallucinogenic herbal mixture, young men are left alone for a night with the byeri to meet their ancestors in a dream. The ancestors gives them a name and the list of their personal prohibitions. 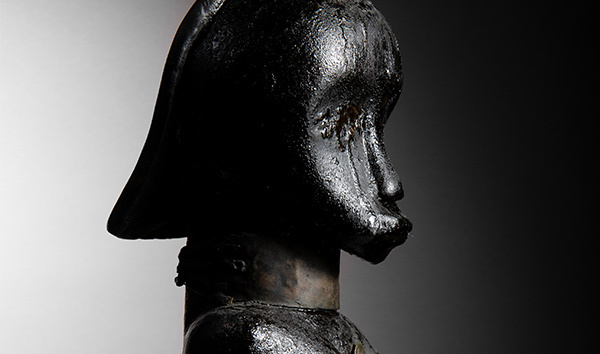 In this auction, the byeri has the shape of a young woman’s bust with a cylindrical trunk. In the middle of its emerging breast, there is a brass pectoral in an ovoid shape. A “unique” high necklace, according to Louis Perrais, and brass bracelets decorate the figure’s neck and upper arms. The perfect Fang classicism of the face features a large forehead in a quarter sphere and a very sparse face in the shape of a heart. The large mouth with thick lips stretched forward characterise “the fang pout”. The eyes are underlined by significant traces of resin which have certainly supported brass disks. The thick black patina, sometimes weeping, illustrates the impregnations of rituals oil and its use since the beginning of the 19th century.